James Deavin, a New York Based British photographer, produces art directed photographs that provide the viewer with visual patterns and harmonies. 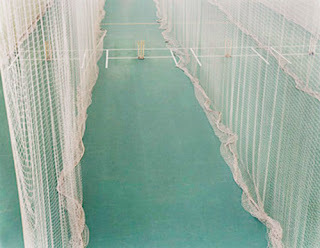 In his work 'These Games We Play" Deavin produced photographs of empty sports venues such as an ice hockey rink, an indoor cricket pitch and a climbing wall. The images are taken to make the ordinary seem extraordinary. 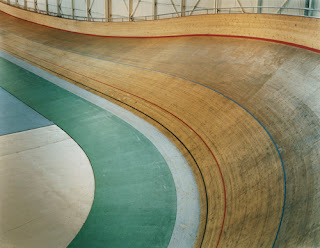 By taking a space that a viewer would possibly be familiar with and using compositional techniques to change the viewers perspective. Deavin creates images that are interesting and visually stimulating. By cropping and changing perspective Deavin shows the space in a new light.